by Diana Zourelias. It's a treat to tiptoe into the dazzling realm of pixies, leprechauns, wizards, and unicorns. 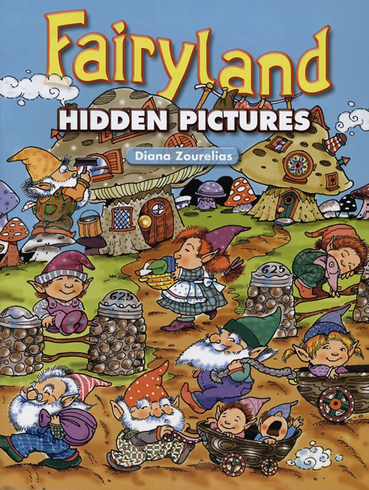 With this magical book of 24 hidden pictures, you can be a fairyland detective and search out the everyday items concealed under a gnome's toadstool, beside a dragon's tail, and next to an elf's shoe. Clues appear at the bottom of each page, and solutions are provided at the end.